Solange Knowles has natural beauty. Beyoncé's appearance changes every time you see her. This is because there are various sculpts to be used on her body that must be rotated out so the world does not get suspicious. Solange has stretch marks and natural 'imperfections' from giving birth, Beyoncé does not. Blue Ivy Carter was hatched from an egg. Solange is a single mother to her 10 year old son, Julez. Her music is about real issues and her videos show real life situations. 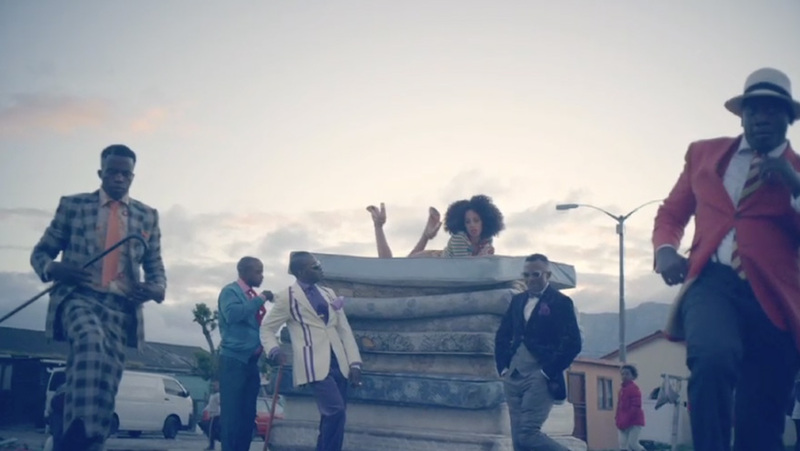 Solange shows the world what happens with a one-night stand resulting in a pregnancy, what goes on inside of an abandoned mall in the 1980s, and what a small community does for fun in Cape Town, South Africa. Beyoncé has videos of her inside of a palace sipping tea and rolling around inside of a massive champagne glass and her on the beach crawling all over the place with trophies on the beach with Jay-Z suddenly showing up in the shot of the video. Very unrealistic. Beyoncé just stands there in the elevator in the corner because she is aware that if she gets in the way, she may get knocked over and her casing may break open and the robotics may fall out. Beyoncé knew there was a camera in the elevator. The camera must not capture this moment so she just stays out of the way. It's just SO CLEAR that Beyoncé and Jay-Z are constructed from metals and steels. 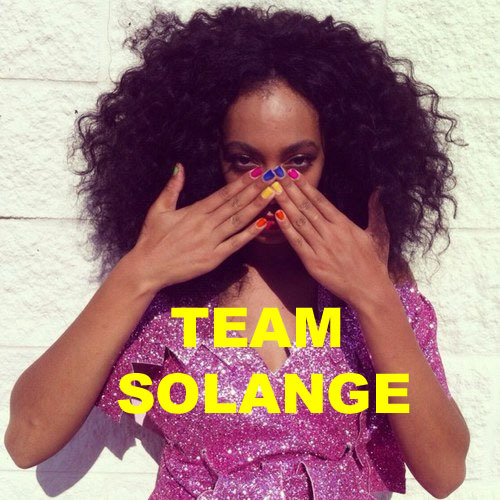 Solange just wants to expose the truth to the world in the hotel elevator. The now ex-employee of the hotel was most likely suspicious about Jay-Z and Beyoncé's systematics and wanted to reveal the brawl that gives more of a verification that Beyoncé and Jay-Z are in fact, artificial. As more time passes, everybody will be on Team Jay-Z and Beyoncé because more evidence will be discovered, displaying both Jay-Z and Beyoncé being 'innocent' and 'doing the right thing.' More and more people will become brainwashed by the Carter family to the point where they will be on their side through everything. The day will come where Beyoncé and Jay-Z rise to the gods and claim what is theirs and control the entire population on Earth. Solange is the way to go because she is being extremely real and she wants everybody to see what Jay-Z has turned her sister into and she wants everybody to know that she is controlled the same way he is controlled: artificially.